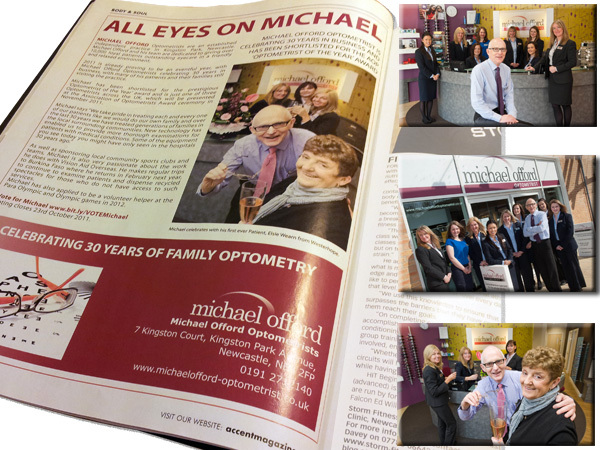 Michael Offord is an Optometrist based in Kingston Park, Newcastle upon Tyne. The practice has been established for 33 years and won the National award for Optometrist of the year in 2011. We have been working with Michael and his team since 2009. 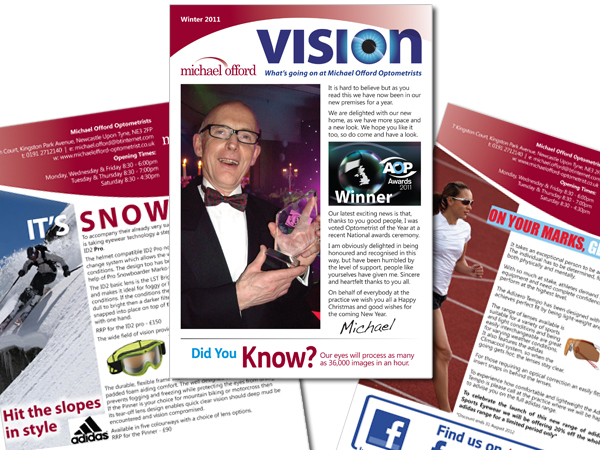 We initially redesigned their bi-annual newsletter that is mailed to their patients. 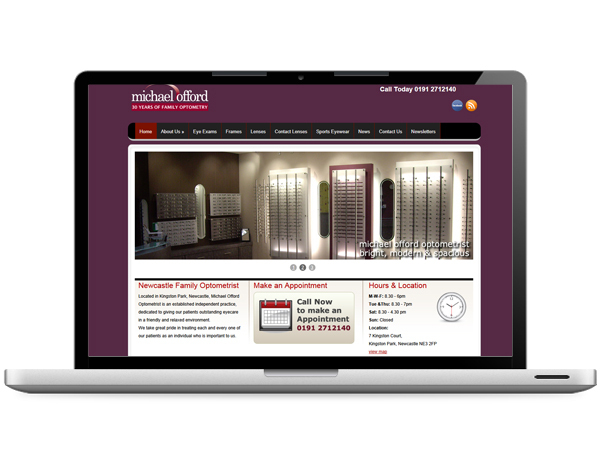 We continue to work with Michael Offord Optometrist as their Virtual Marketing manager and we’re soon to launch a new responsive website.